The Nova Scotia Supreme Court appointed law firms Miller Thomson and Cox & Palmer. 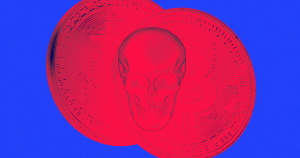 Remember that cryptocurrency exchange that said it lost $196 million of its customers’ money when CEO Gerald Cotten died — prompting conspiracy theories Cotten faked his own death? Well, those 115,000 customers just lawyered up. Michael Wood, a justice on Nova Scotia’s Supreme Court, issued a ruling Tuesday that QuadrigaCX customers would be represented by two law firms, Miller Thomson as well as Cox & Palmer, in the event of a class-action lawsuit, according to CoinDesk. So far, no one has filed suit against QuadrigaCX — though the users’ new lawyers can start preparing one, according to CoinDesk. On Feb. 5, the courts approved a 30-day stay at the company’s request. That leaves QuadrigaCX with about two more weeks to settle the matter and come up with $196 million on its own before anyone can sue. Once the stay expires on March 7, the crypto exchange may try to have it extended. But that appeal would come before Judge Wood. Given his move to prepare QuadrigaCX customers for a potential lawsuit, Wood may decide that QuadrigaCX was given enough time and open up the floor to any lawsuits.